Clark Seif Clark provides comprehensive indoor environmental quality testing and consulting services to identify and mitigate exposure hazards and concerns. The indoor environment quality of a home is important for people of all ages and a key component of a healthy home. 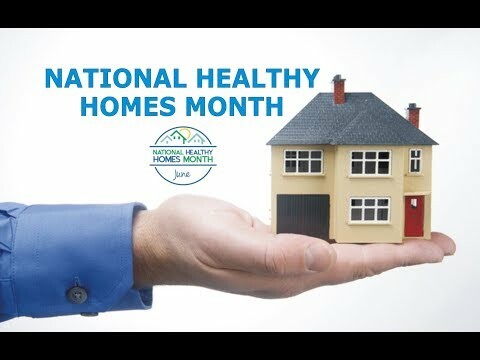 Back in June of 2016, the U.S. Department of Housing and Urban Development (HUD) inaugurated the first annual National Healthy Homes Month (NHHM) with the theme, “Everyone Deserves a Safe and Healthy Home.” This annual celebration has become an important time for government institutions, such as HUD, to raise awareness and provide resources to the public about what makes a home healthy, and to strengthen coordination and collaboration between housing and health at the federal, state and local levels. Keep your home Dry - Mold and moisture increase allergens and asthma triggers and can cause deterioration of a home. Keep your home Clean - Clean homes help reduce pest infestations and exposure to contaminants. Keep your home Pest-Free - Many pest treatments pose risks for families with health problems or expose young children and pets to poisonous residue. Non-pesticide treatments are best for a first line of defense. Keep your home Safe - A majority of injuries among children occur in the home. Falls are the most frequent cause of residential injuries to children, followed by injuries from objects in the home, burns and poisonings. Keep your home Maintained - Poorly-maintained homes increase the risk for deteriorated lead-based paint in older housing which is the primary cause of lead poisoning in children less than 6 years of age. Keep your home Temperature Controlled - Houses that do not maintain adequate temperatures may place the safety of residents at increased risk from exposure to extreme cold or heat. Keep your home Contaminant-Free - Chemical exposures include lead, radon, pesticides and environmental tobacco smoke. Exposures to radon gas, carbon monoxide, and second-hand tobacco smoke are far higher indoors than outside. Keep your home Ventilated - Studies show that increasing the fresh air supply in a home improves respiratory health. Air filters in HVAC units collect and protect families from many particulates found in the air. To learn more about this or other building science, indoor air quality, environmental, health and safety testing services, please visit www.csceng.com, email csc@csceng.com or call (800) 807-1118.